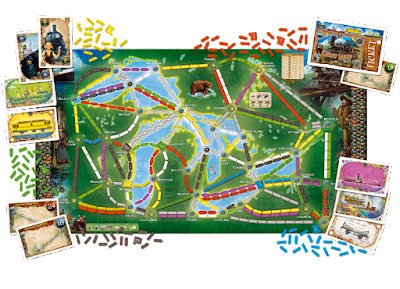 Scheduled for September 2016 release is Ticket To Ride: Rails & Sails, the newest in Days Of Wonder's popular Ticket To Ride board game series. 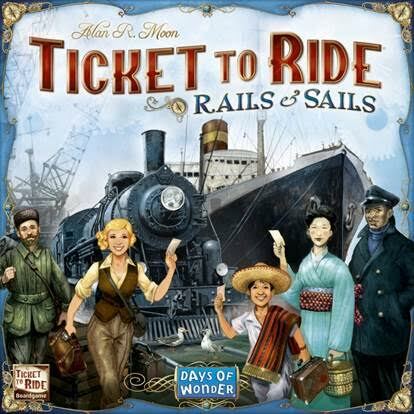 Ticket To Ride: Rails & Sails comes with a double-sided board. Play The World on one side and The Great Lakes on the flip side. There are 2 types of travel decks: 1) Colored Trains and 2) Colored Ships. There are wild cards that can be used as either a ship or a train. Some of the ship cards count as 2 ships. 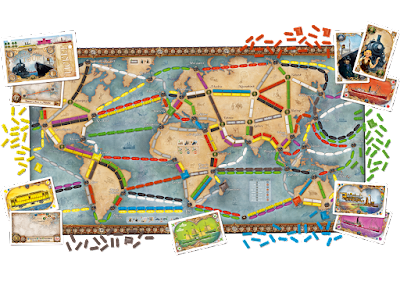 An interesting game mechanic is that players will have to pare down their supply of trains and ships after choosing their starting destination cards. 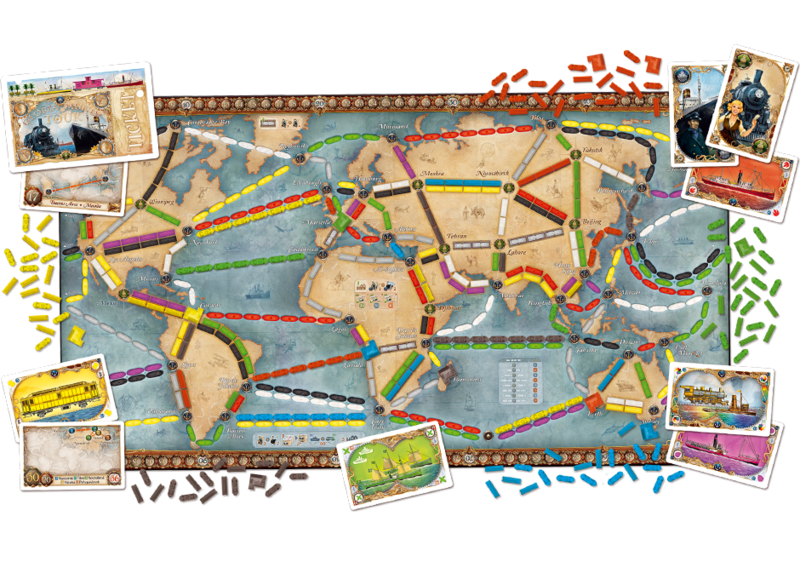 In The World players receive a combination of 75 trains and ships and must return 15 of any combination to the box. In The Great Lakes players have a combination of 60 trains and ships and must pare down to 50. During the game you can take the Exchange action to swap from your supply with those you returned to the box at a negative 1 point a piece exchange rate. Additionally, each player will start with 3 harbor pieces. Building harbors in port cities will gain you end game points and negative points if you don't get them on the board. The World map comes with 8 Tour Tickets that are shuffled in with the Destination Tickets. These special Tour Tickets have more than 2 cities shown on them. If you complete these tickets in destination city order you gain more points than if you just complete all the listed cities. However, if you don't complete the Tour Ticket you will receive negative points. We're certainly looking forward to when Ticket To Ride: Rails & Sails becomes available. We're eager to play it.